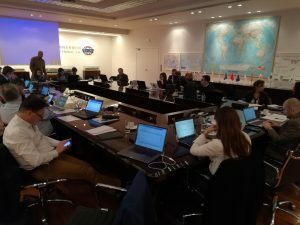 The project partner Piraeus Container Terminal hosted Clusters 2.0 4th plenary meeting on 5th 6th February 2019 in the unique location provided by Port of Piraeus, one of the biggest in the Mediterranean sea and in Europe as a whole. 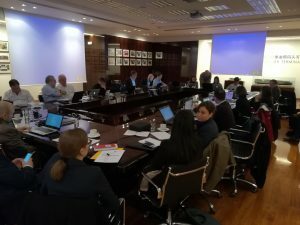 The consortium presented the overall status of the project, focusing on the results reached so far under each Living Lab. For each of them, the status was presented, followed by a discussion regarding the strategy to adopt henceforward. After discussing the project current status, the partners analysed the expected outcomes, project demonstration activities and stakeholder engagement, also taking into account the business orientation of the project. The meeting proved very useful to appraise and plan the next steps needed to leverage the full potential of European Logistic Clusters.